The university had been witnessing massive police repression since 2015 the Telema uprisings against President Joseph Kabila. 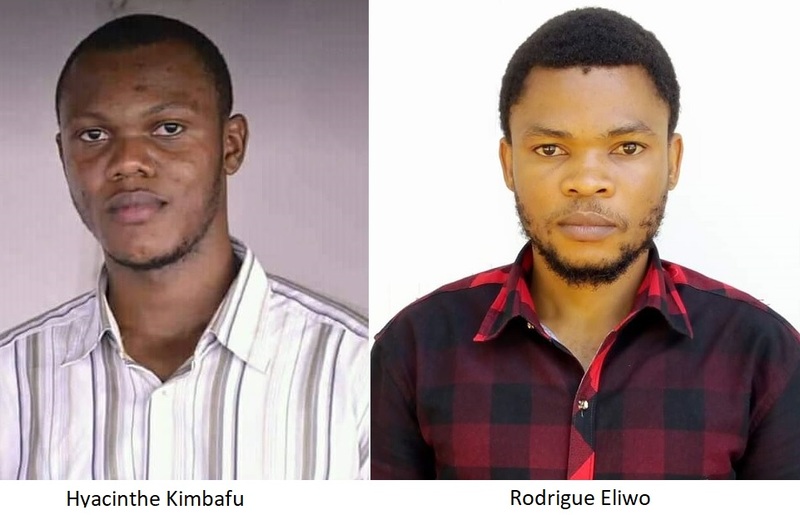 Hyacinthe Kimbafu (left) and Rodrigue Eliwo (right) were killed by different rounds of police fire, while protesting for an end to the teachers’ strike at University of Kinshasa. The students’ protest at the University of Kinshasa (UNIKIN) demanding resumption of classes and against police violence on campus, continues as two students were killed by police within a span of four days. The two students, Hyacinthe Kimbafu and Rodrigue Eliwo, were killed last week on November 12 and 16, as police opened fire on students demanding that the university resume their classes. The classes in the university were affected by the teachers’ strike, ongoing for more than a month. The teachers of the university under the banner of the Association of Professors of the University of Kinshasa have been on an indefinite strike, since October 8. The teachers are protesting for better wages and for a legislation to allow for an internal election to posts in the university administration. 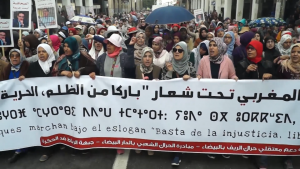 The students staged a protest, demanding the resolution of teacher’s strike and their issues, and the resumption of classes. The students’ protest, ongoing since November 12, 2018, was met with violent repression by the police. The university has been witnessing massive police repression since 2015, when the Telema uprisings against president Joseph Kabila broke out. After these protests, an armed police unit occupied the campus, creating a hostile and militarized environment. The killing of Kimbafu, a student of computer science, on November 12, resulted in an even larger mobilization from the students. Eliwo, a student of biology, was killed on November 16 in a protest against the violence. 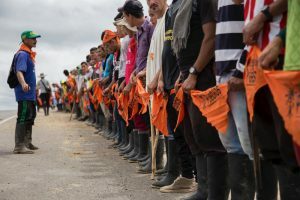 The killings have attracted condemnation from across the political spectrum, especially with the much-awaited presidential election less than a month away. One of the police officers responsible for the shooting has been detained, according to the police chief General Sylvano Kasongo, who has promised action against those responsible. Minister for higher education Steve Mbikayi has demanded a full investigation into the possession of live ammunition by the police, which is outlawed on university campuses. The Congolese Association for Access to Justice – one of the constituents of the Coalition for Respect of the Constitution that has been fighting for holding of the presidential election overdue for two years – has called for the government to remove the police forces from the campus. With the presidential election scheduled for December 23, 2018, the violence has drawn public attention to the police presence in the university and to the memories of the violent repression of the students in the January 2015 protests. According to the new constitution of the ‘Third Republic’ that was adopted in 2006, Kabila’s presidency was set to end in 2016 because of a term limit. But in January 2015, the Congolese National Assembly dominated by the Alliance of the Presidential Majority, led by Kabila’s People’s Party for Reconstruction and Democracy, passed an electoral reform law with a clause that required a national census before any further election, which prolonged Kabila’s presidency. 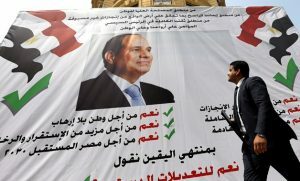 A series of nationwide protests broke out, demanding that the clause to be removed. The protests came to be widely known as ‘Telema’, which means “stand up” in Lingala, a commonly spoken language in the Congolese capital of Kinshasa. The students of UNIKIN joined the protests in large numbers. The police violently confronted the protesters leading to the death of more than 40 protesters. After a series of protests against President Kabila over the past two years, the government agreed to hold the elections in December 2018. Hey Buddy!, I found this information for you: "Police crackdown on students’ protest kills two at Congo’s Kinshasa University". Here is the website link: https://peoplesdispatch.org/2018/11/26/police-crackdown-on-students-protest-kills-two-at-congos-kinshasa-university/. Thank you.